"We are a team who are still improving. We know where we are, we're having success because everybody is working so hard," Southgate said, after joining Alf Ramsey and Bobby Robson as just the third manager to guide England to the World Cup semi-finals. "We're not the finished article, we don't have renowned world-class players yet," he said. "We have lots of good young players who are showing on a world stage they're prepared to be brave with the ball. They try to play the right way and have shown some mental resilience now over the last few weeks. "We know in years to come they're going to be stronger." England have avoided several title contenders in a more favourable half of the draw, but Southgate said the success of the nation's youth teams was a clear indicator of the talent coming through. "We're in a World Cup semi-final. Whether we're in the top four in the world is something we would still have to prove I think, but we're progressing really well and we do have some good players and they need opportunities to play," Southgate said. 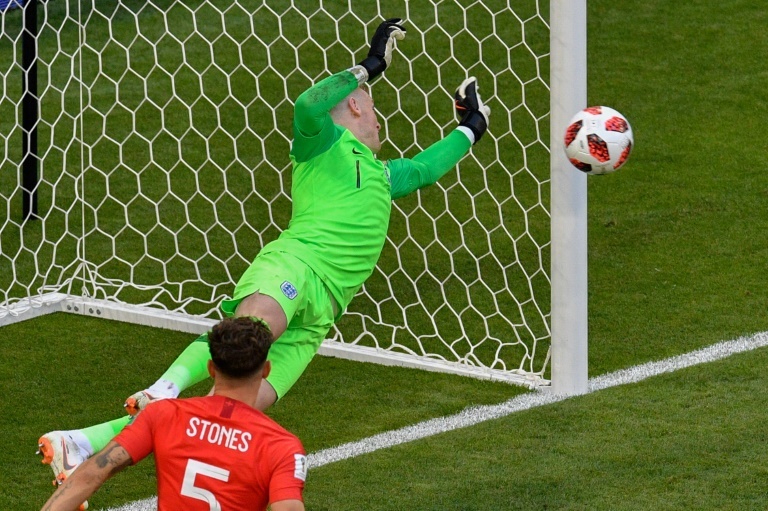 That saw the 24-year-old Pickford become the youngest England keeper to record a World Cup clean sheet. "He's the prototype of what a modern goalkeeper should be," Southgate said of Pickford, who only made his international debut last November. "His speed around the goal today, the saves he made at critical times, and generally his distribution -- there were some excellent moments within that." England captain Harry Kane failed to score for the first time in seven matches for his country, but the Tottenham striker is still the leading scorer at this World Cup on six goals. "We said we want to write our own history and hopefully we can go one step further and get to the final," Kane said. "It's amazing to be part of this World Cup so far but I get the feeling from the boys and myself that we're not finished yet. "We don't want to go home, we want to go all the way. We know we've got a difficult game coming up but we're ready for it. "We're looking forward to finishing strong and whatever happens we can say we're proud of each other."